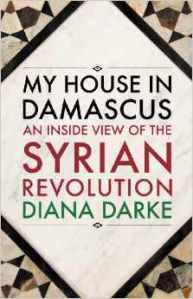 In peaceful times World of Interiors might easily have been the sub-title for My House in Damascus. The Arabic concept of the baatin meaning the internal aspect that can only be sensed, as opposed to the zaahir signifying the outward visible surface, is one of the leitmotivs of the book, re-awakened from my distant undergraduate days studying medieval Arabic literature at Oxford. From the outside the historic house I bought nine years ago in Old Damascus presented nothing but a plain facade, but on the inside it was a secret world. Even after a lifetime’s specialisation as an Arabist, I had never dreamt of buying property in the Arab world. But a chance encounter with an antiquities architect whilst researching a guidebook to Syria led me in an unexpected direction and together we spent four unforgettable years of restoration and discovery. Inside that sanctuary I have experienced, more than anywhere else, a powerful sense of unity with nature and with my surroundings. The way the light stroked the ancient stones, the way the vibrant bougainvillea fell in a magenta trail, the way the palm doves swooped from their nests in the heavy foliage to peck at invisible delicacies, the way the tortoise meandered silently in and out of the shadows. The music of the call to prayer from the myriad mosques echoed round the walls and on Sundays the church bells chimed in melodiously. Overwhelmed by the palimpsest of Syria’s complex past and present embodied in the multi-layered heritage of the house, I felt embraced as if by some archetypal womb. To reach that point was hard. The path was strewn with near-impassable obstacles, blocked with bureaucratic nightmares beyond imagining. But Syrian friends patiently helped me through the labyrinth. Only after painstaking deconstruction did I get there, a process which came to be symbolic of Syria’s own years of deconstruction, still alas ongoing. First the breezeblock wall dividing the courtyard two-thirds one-third had to be pulled down to reunite the space as one, a move I identified as the reunification of Syria’s population, broadly two-thirds Sunni Muslim, and one third minorities like Kurds, Alawis, Christians and Druze. Next the uniform white-painted cladding had to be stripped off the walls revealing the centuries-old stonework of contrasting soft limestone and black basalt. This was a particularly lengthy stage, as we chipped away carefully with hand tools, struggling not to damage what lay beneath. The uniform cladding of the Ba’ath Party system and the tentacles of its omnipresent security system have been suffocating Syria’s identity for the last 50 years. Concrete is tough stuff. Even so, the day will surely come when Syria too has its rotten infrastructure, its faulty wiring and its dodgy plumbing ripped out. Like the house, it will gradually emerge from the wreckage, as kaleidoscope colours begins to blend subtly with mellow shades from across the ages. The human quest for the perfect space – what I found in my magical courtyard – will never die. Once ‘tasted’, as Islam’s greatest philosopher Al-Ghazali wrote, the memory cannot be taken away. Today’s tragedy inside Syria leaves many wondering how and when it will all end. How can a nation and its people endure such suffering? 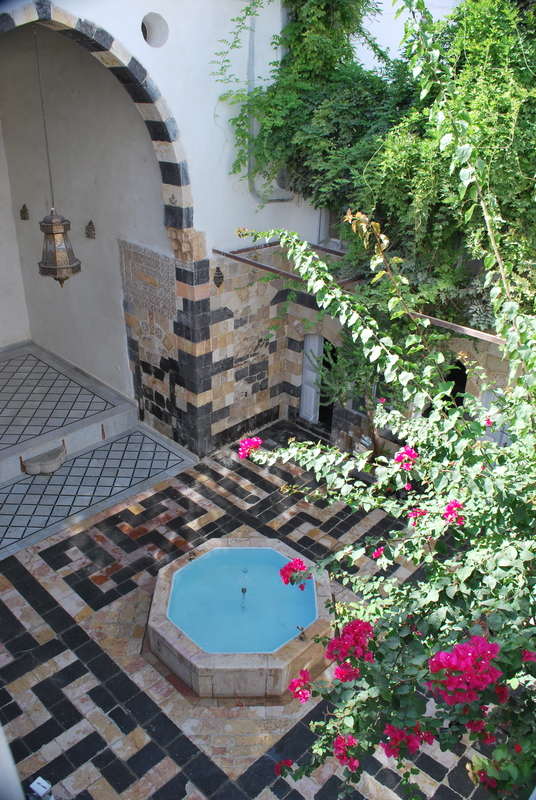 Yet what I have learnt from my Damascus courtyard, is that despite the extremism and corruption currently ravaging the country, Syria’s core identity, firmly-rooted in centuries of moderation and tolerance, will survive. 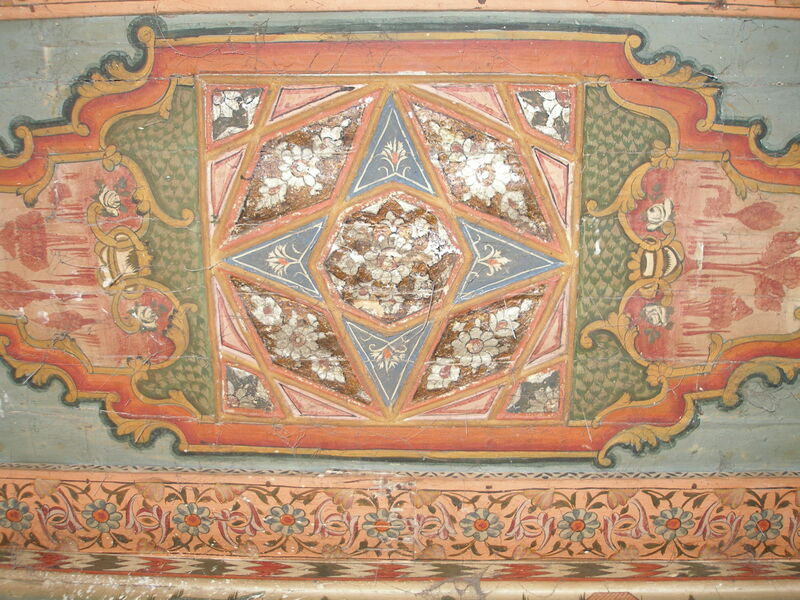 Its zaahir looks hideously damaged, but its baatin, its ‘World of Interior’ will remain intact. In renovating the house she bought in Damascus in 2005, Diana Darke has chipped away at the modern layers to find the harmonious structure beneath. A similar deconstruction is needed to recover the tolerant, pluralistic Syria hidden by war. Very beautiful and poetic. I really enjoyed reading your article about the Yazidis. Are there any recordings of their music– the hymns, for example? I first heard about the Yazidis when I did music in 1977 for Peter Brook’s film of the late master G.I. Gurdjieff’s autobiography, “Meetings with Remarkable Men,” where among the ancient mysteries still present in the Trans-caucasian truly “Old World” was that of the Yazidi’s beliefs and customs. Thanks very much, I’m glad you liked it. The only Yazidi music I can find is on Youtube, in a series of films made in German by a Kurdish woman. I’m not aware of any actual recordings that would be publicly available, given their preference for secrecy. Who knows, that may change, given all the attention they are now receiving. I hope their faith survives, as in my view, it has many wonderful elements, and certainly all the Yazidis I have ever met have been delightful people, very hospitable.